Confederate Railroad founder and vocalist Danny Shirley, center front, says he thought he was retiring from music, but the industry wouldn't let him. 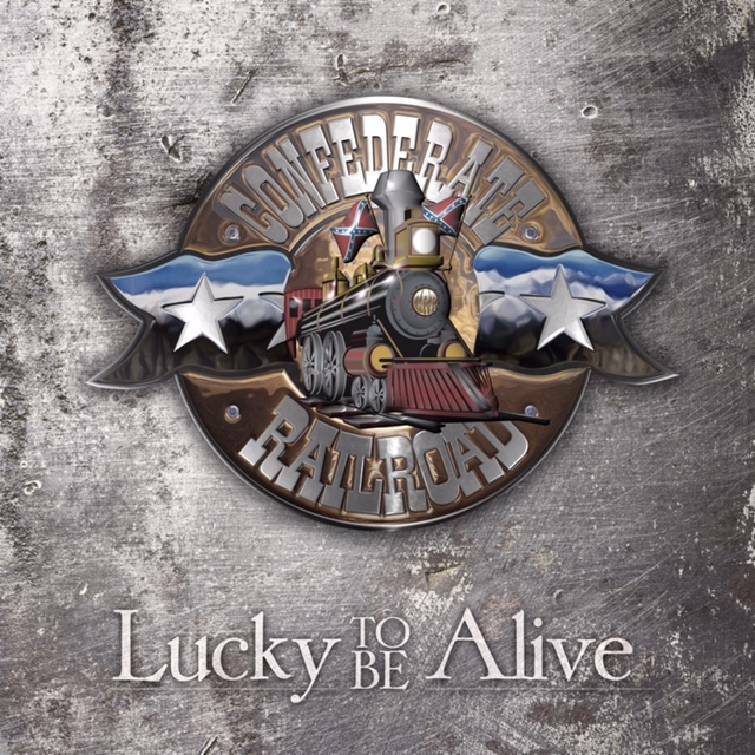 "Lucky to Be Alive," the first record in nine years for Confederate Railroad, comes out today. Confederate Railroad will perform Aug. 20 at Camp Jordan as part of the city’s 95th anniversary. It appears the music industry just isn't ready for Danny Shirley and Confederate Railroad to retire. Today, the band will celebrate the release of "Lucky To Be Alive," its first studio album in nine years; the release comes with a new tour and a new round of press interviews. Shirley will celebrate the 40th anniversary of his first professional gig on July 26 and two weeks later, on Aug. 12, he turns 60. Not bad for a guy who thought he was set to ride off into the sunset back in 2001. At that time, the band's contract with Atlantic Records was coming up for renewal and Shirley asked for his release. "It had been a great experience and I had nothing but good things to say about the time with them, but I just said 'I'm ready to ride it on out from here,'" he says. The very next day, though, he got a call from Audium Entertainment about doing one more record. "Unleashed" was released in August 2001. "I thought, 'Great, that will be my last,'" he says. "Then I got another call about doing a live record and thought this will be my last so we did 'Cheap Thrills.' And now, lo and behold, we have a brand-new record. I guess I'll do music for the rest of my life." He also is getting married next week, so things are moving quickly in his world, but he doesn't feel like this latest wave of activity is a new beginning or a restart. It's just another unexpected big wave in a career full of them. "There is a lot going on, but we never really stopped touring," Shirley says. "We do about 100 shows a year and I don't see that changing, but it is fun to be doing all these interviews again. "I'm real excited to get this opportunity, but I told the guys on the bus, 'Don't get too pumped up or used to this.'" He started writing songs again earlier this year after hearing some of the new young guns tell him how much Railroad songs meant to them when they were coming up. "That really meant a lot to me," he says, "and I thought maybe I'd write a few songs for other people." As other people heard songs like "Lucky To Be Alive" and "Whiskey and Women," they encouraged him to record them with the band and "Lucky to Be Alive" was born. Shirley says the title track, a brutally frank song about growing up the son of an alcoholic, is based on a friend and not so much his own life. "Whiskey and Women," however, "is entirely autobiographical," he laughs. He wrote it several years ago but only recently found the demo tape. Shirley has always been appreciative and humble about any successes for Confederate Railroad. He has famously said for years that "our successes outdid our talent years ago." "I used to play these little bars in Chattanooga, and even then I couldn't believe people came out hear us," he recalls. He vividly remembers standing outside a venue up north after just opening for the Marshall Tucker Band. Shirley asked Railroad guitarist Michael Lamb if he ever worried that fans were going to figure out they were just faking it. At that moment, Marshall Tucker singer Doug Gray walked by and said, "Well, let's see if we can fool them one more time." "I laughed and thought, 'Well, maybe I'm not the only one." Shirley, a 1974 Hixson High School graduate, earned his chops singing in local clubs. His first gig was at a club called the Ranch House in St. Elmo in 1976, he says. The Danny Shirley Band, which became Confederate Railroad, became the co-house band along with The 90 Proof Band at Governor's. After signing with Atlantic Records, the band moved to the Atlanta area and became the house band at Miss Kitty's in Marietta. "We were there with Little Texas, John Berry and Diamond Rio," Shirley says. Soon after the move to Atlanta, Railroad became the backing band for David Allan Coe and Johnny Paycheck. The original lineup featured Shirley, keyboardist Chris McDaniel, bassist Wayne Secrest, drummer Mark DuFresne, steel guitarist Warren "Gates" Nichols and guitarist Lamb. The current lineup is Shirley, Secrest, DuFresne, guitarist Bobby Randall (one of the founding members of Sawyer Brown), steel guitarist Mo Thaxton and guitarist Rusty Hendrix. Over the year, Railroad had 20 singles make the charts, including ""She Took It Like a Man," "Queen of Memphis," "Daddy Never Was the Cadillac Kind" and "Trashy Women." The latter is included on "Lucky To Be Alive" at the suggestion of fellow songwriter Bernie Nelson, who co-wrote "Daddy Never Was the Cadillac Kind." Shirley was reluctant to go to the "Trashy" bin again, but when Nelson suggested having some special guests join him on the song, he became interested. Shirley was fully onboard once it was decided to donate all proceeds from the song to the Hunter Worley Foundation, which raises money for families who lose a child. Joining him in the reworked version of "Trashy Women" are Willie Nelson, Colt Ford and John Anderson. "I'm on the [Worley] board and know that 100 percent of the proceeds go to the local foundation," Shirley says. "It does things like help pay for the funeral and buy headstones or help with therapists and clergy." Shirley says he has no idea or huge expectations regarding what will happen next with Confederate Railroad He just knows he's appreciative of things that have happened already. "I'm just thankful for everybody that ever listened to us."